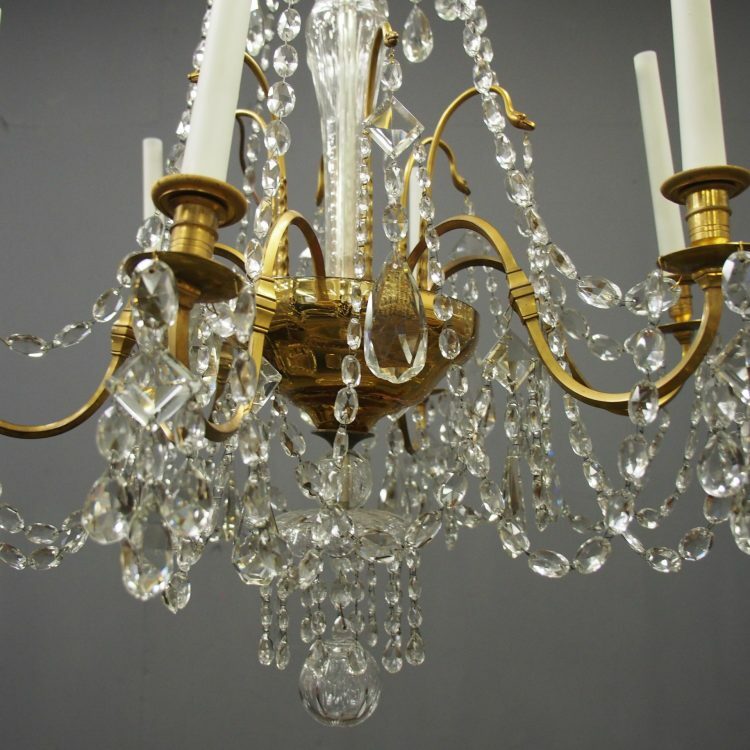 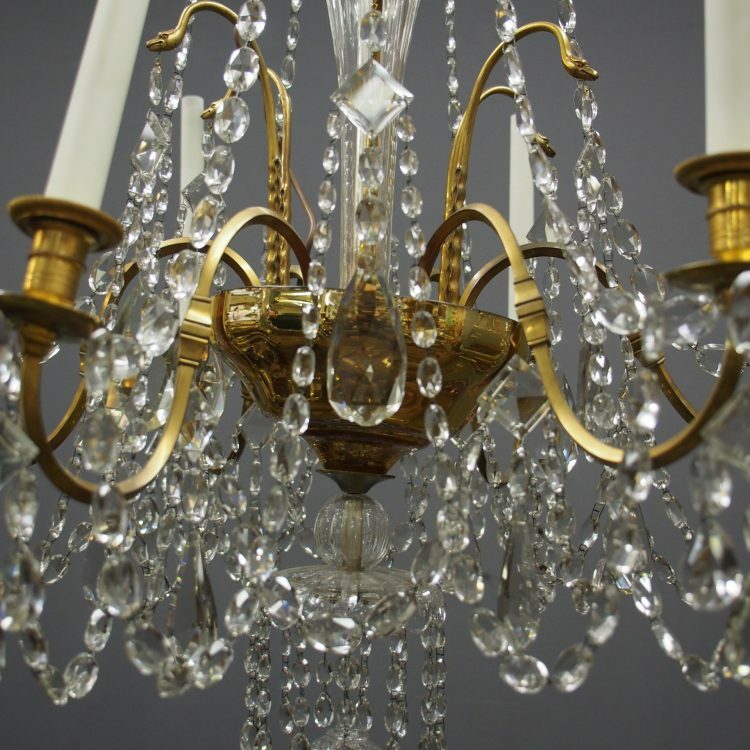 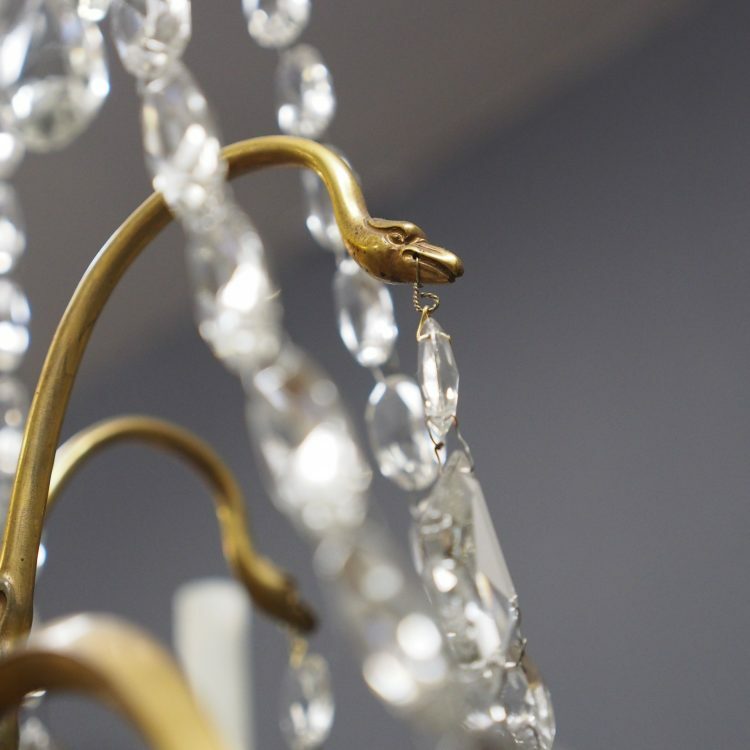 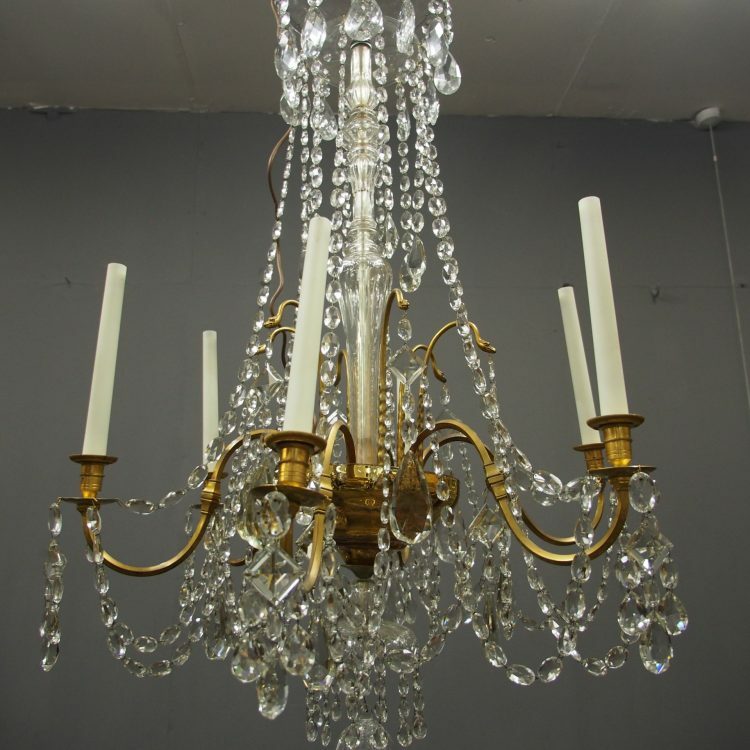 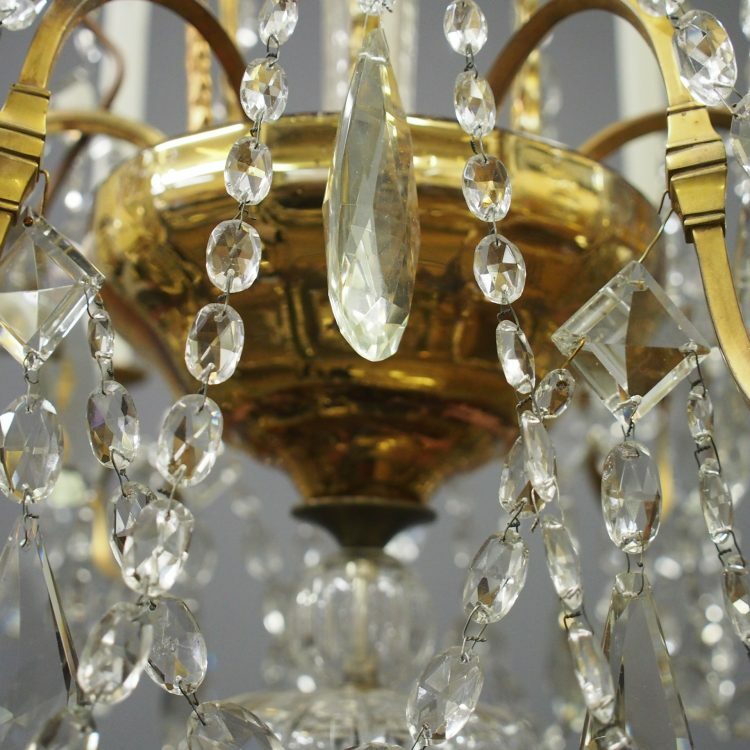 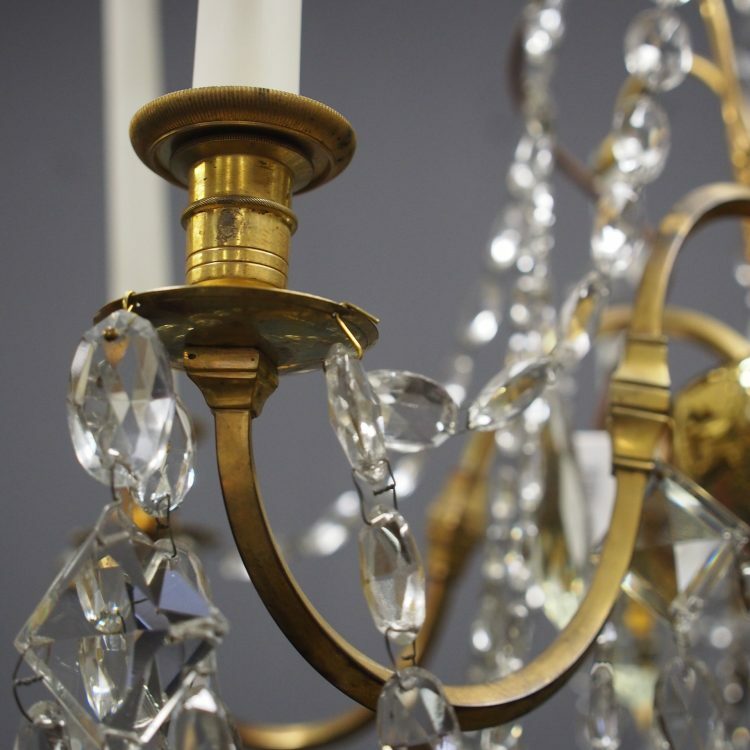 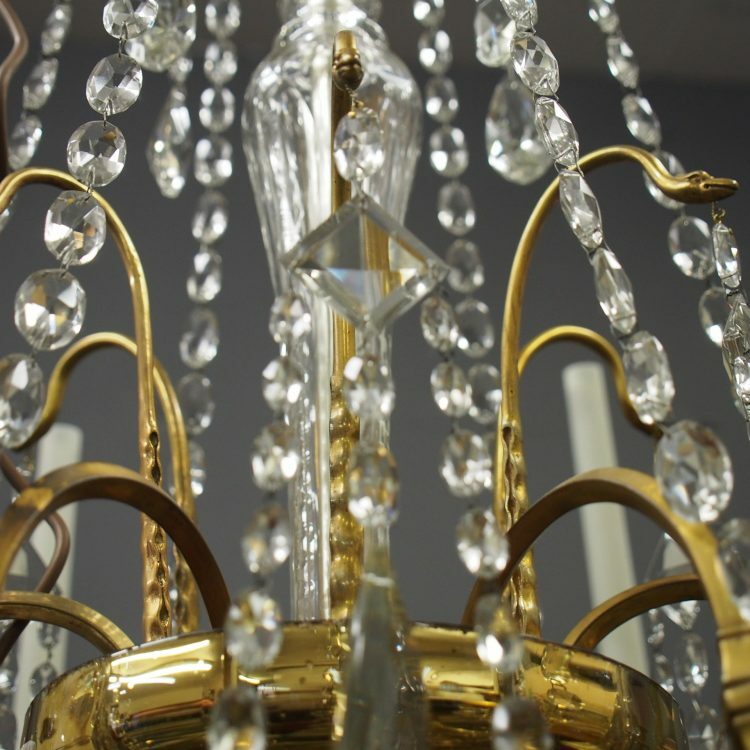 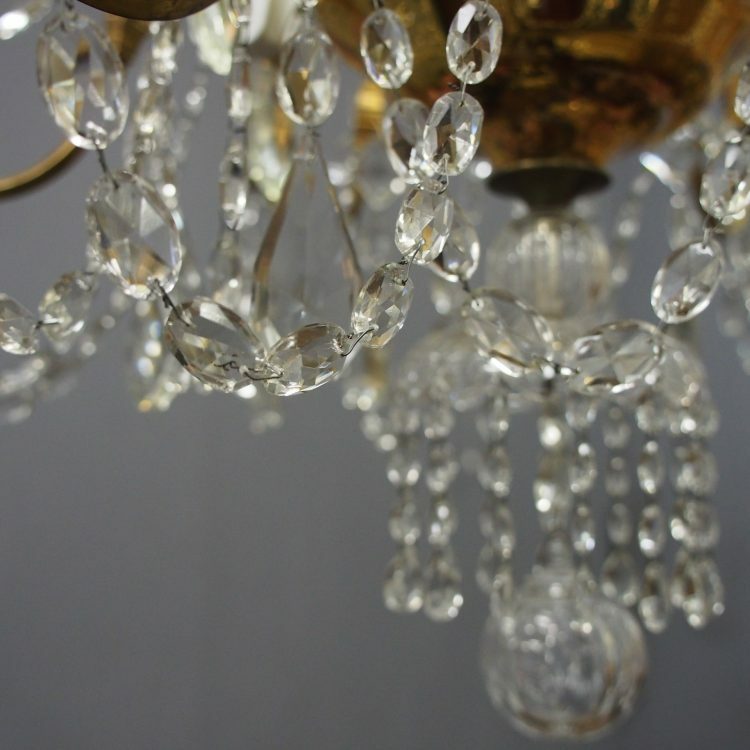 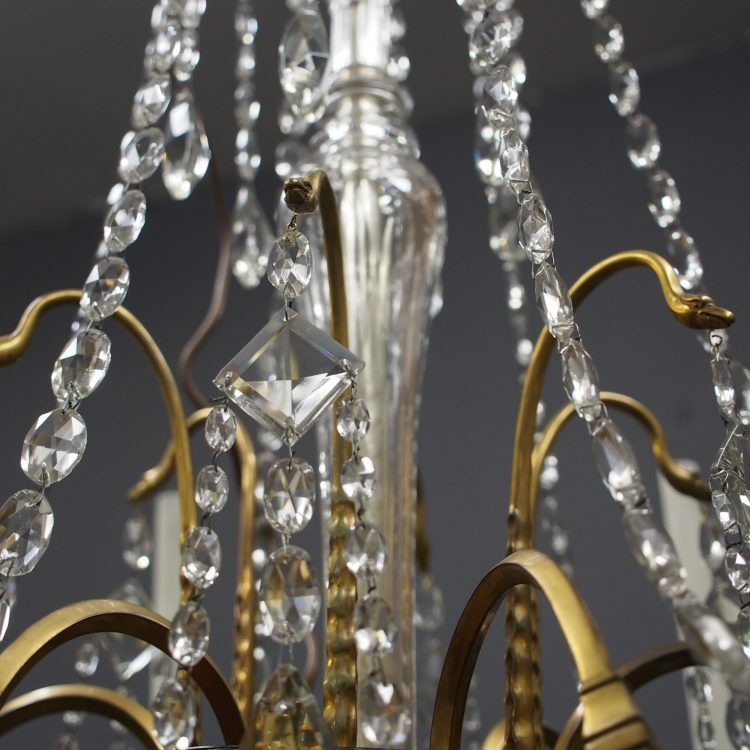 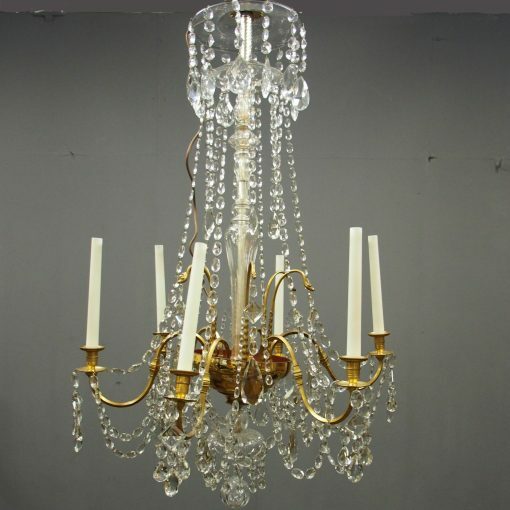 Circa 1950s, large gilt brass and glass chandelier. 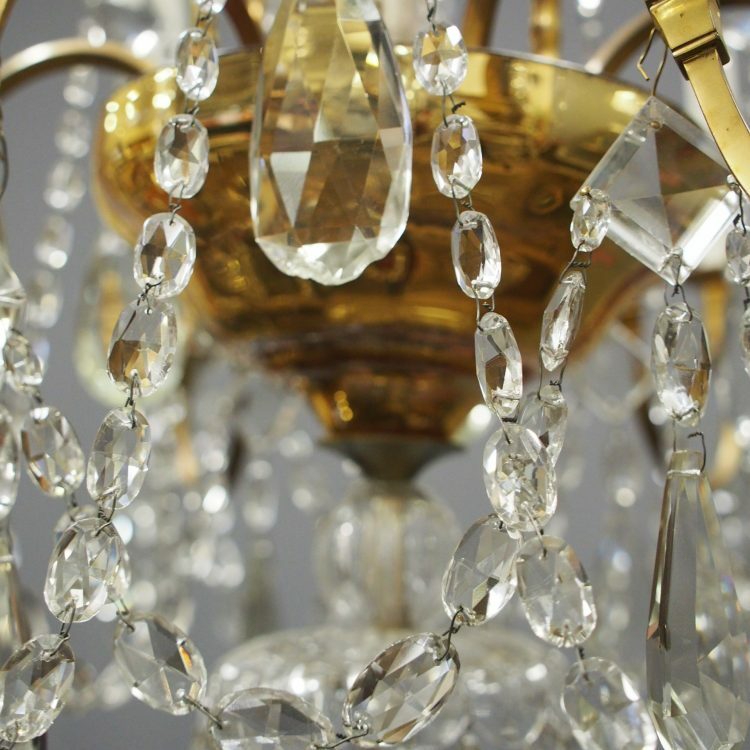 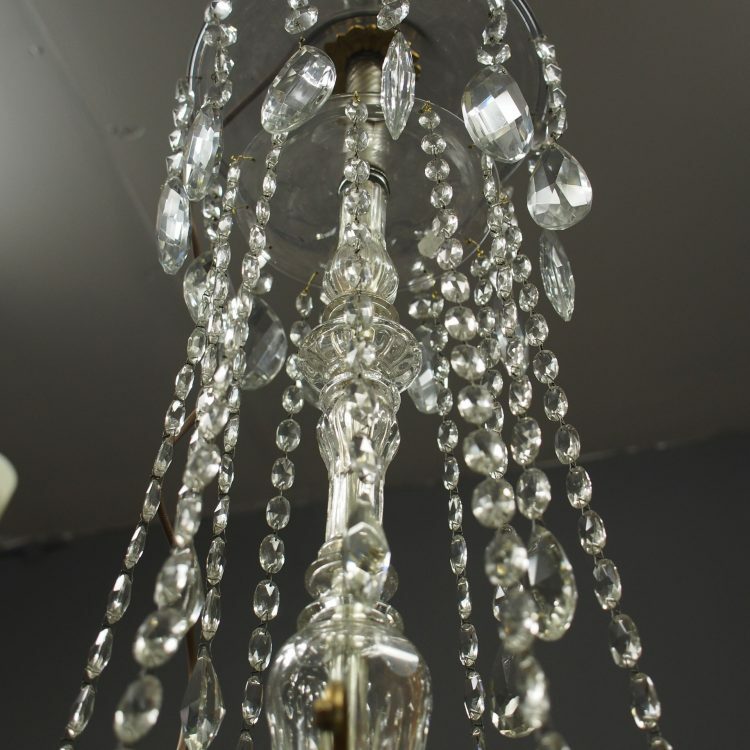 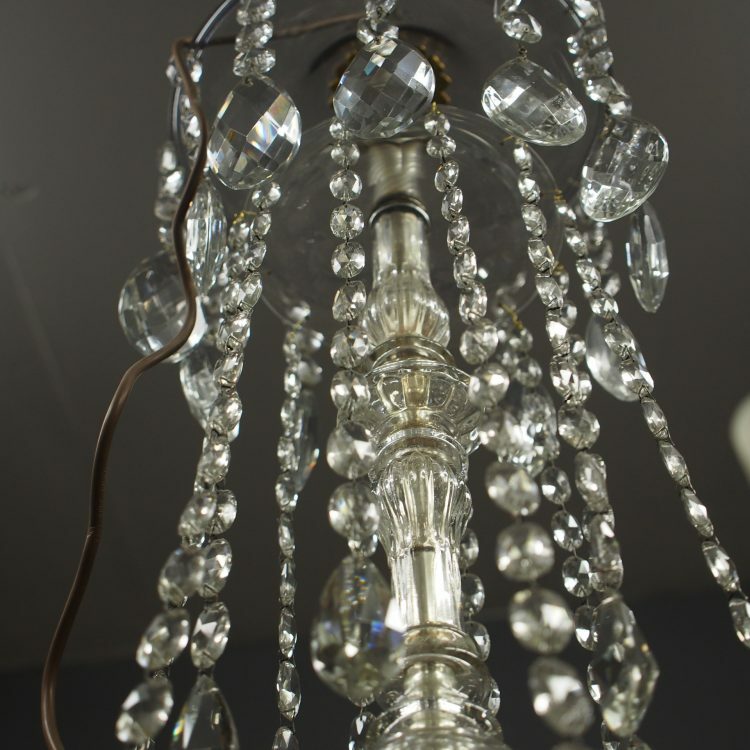 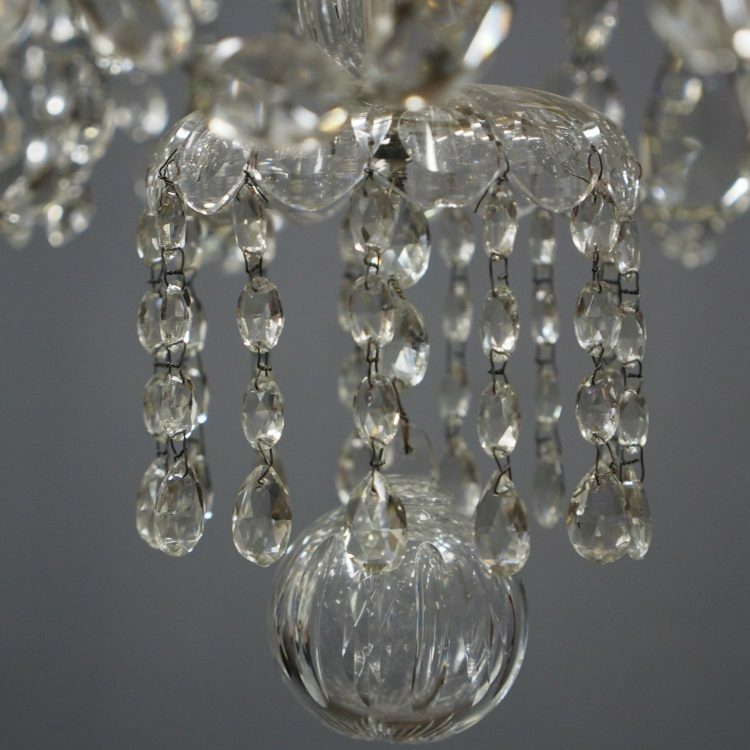 With 6 lights, a shaped glass dome and strings of faceted, beaded glass droplets. 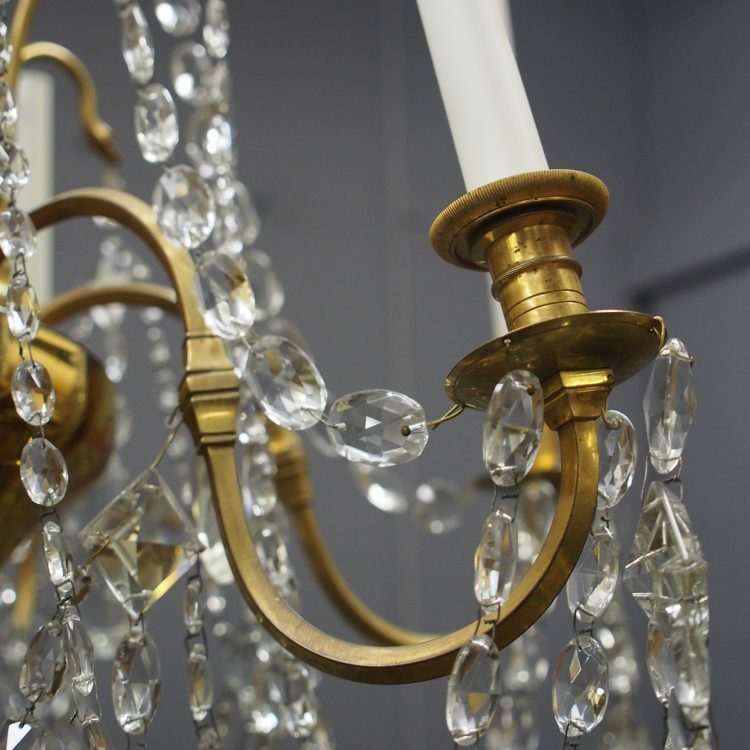 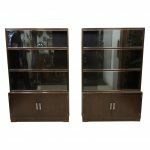 There is a glass baluster centre and each candleholder has been extended with faux handles.